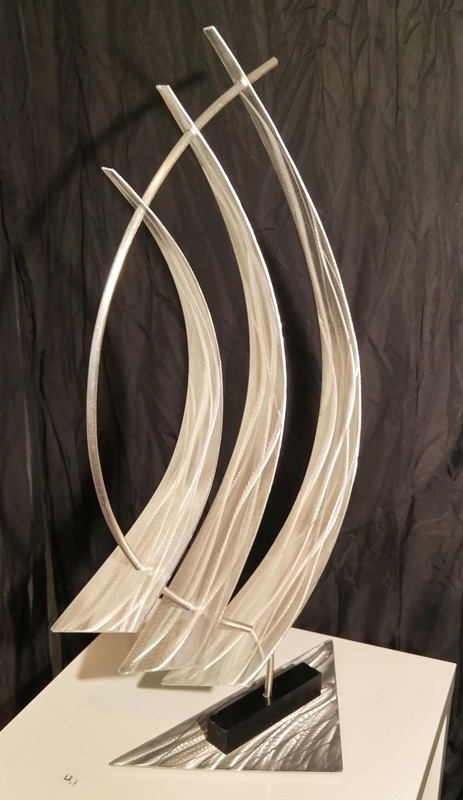 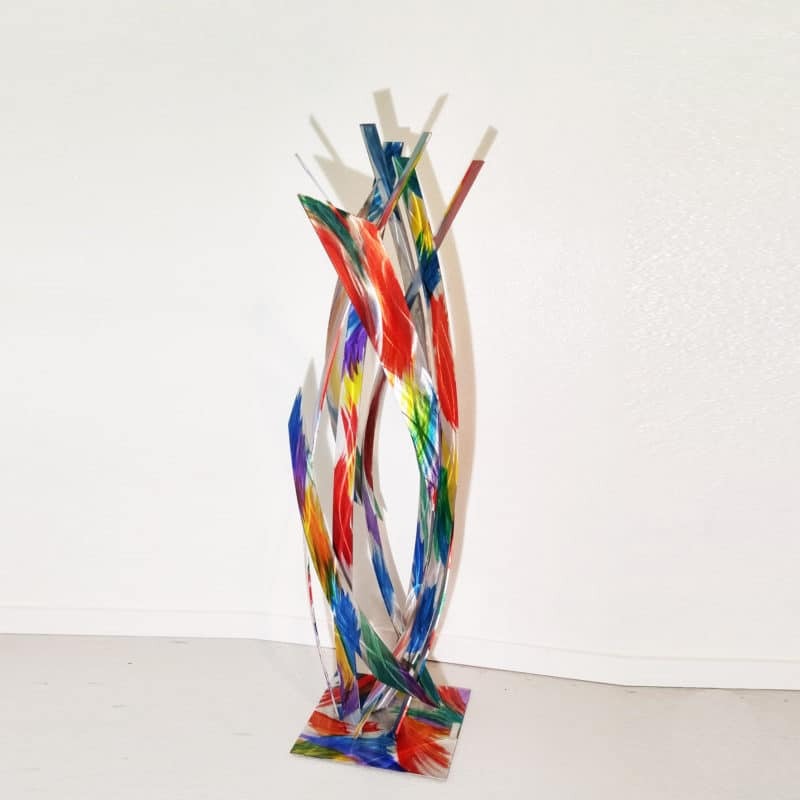 One of Dustin Miller’s latest abstract designs, this nautical sculpture, called Voyage Silver, is the perfect piece for your home. 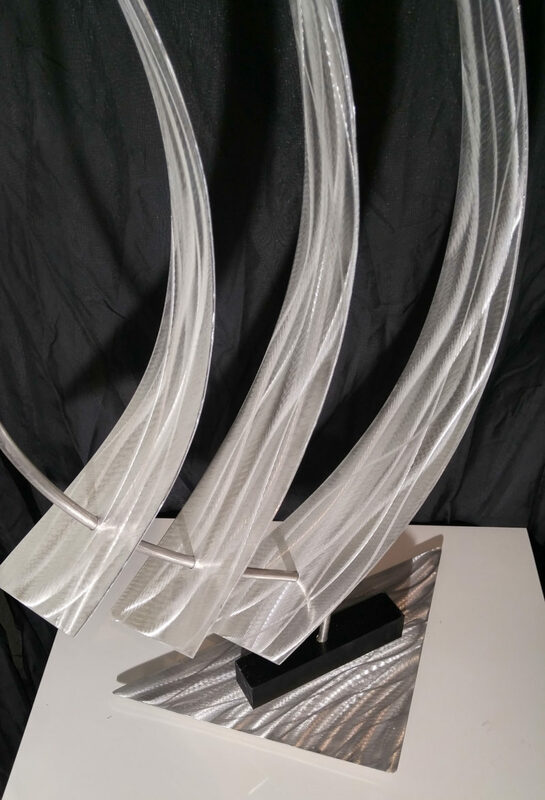 The flowing signature grind patterns were applied to achieve multiple tones of dynamic tones of the aluminum shining through in different lighting. 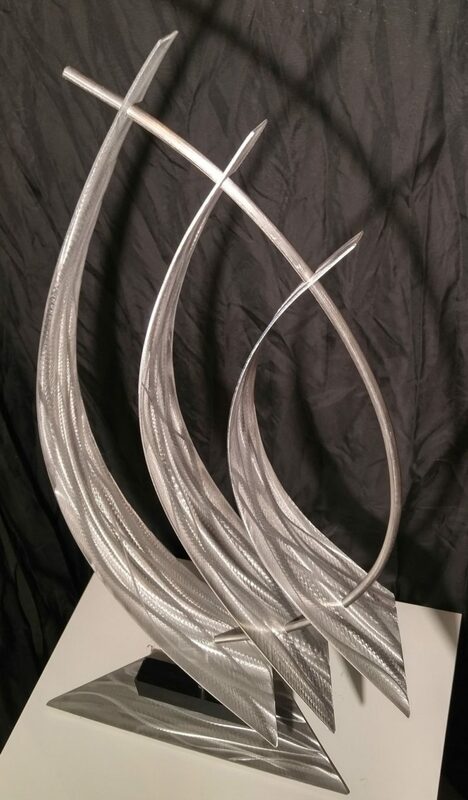 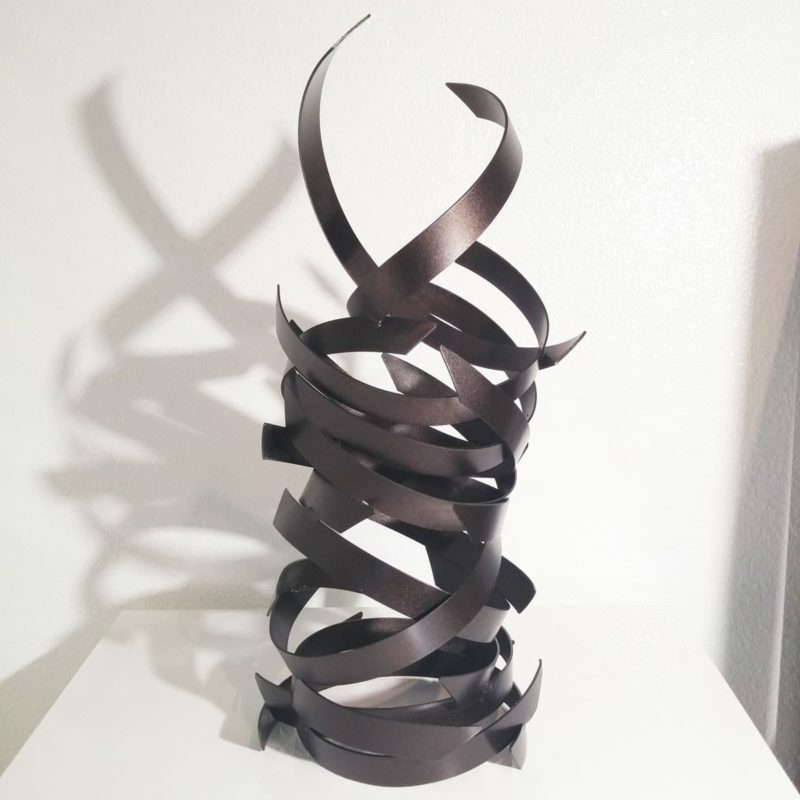 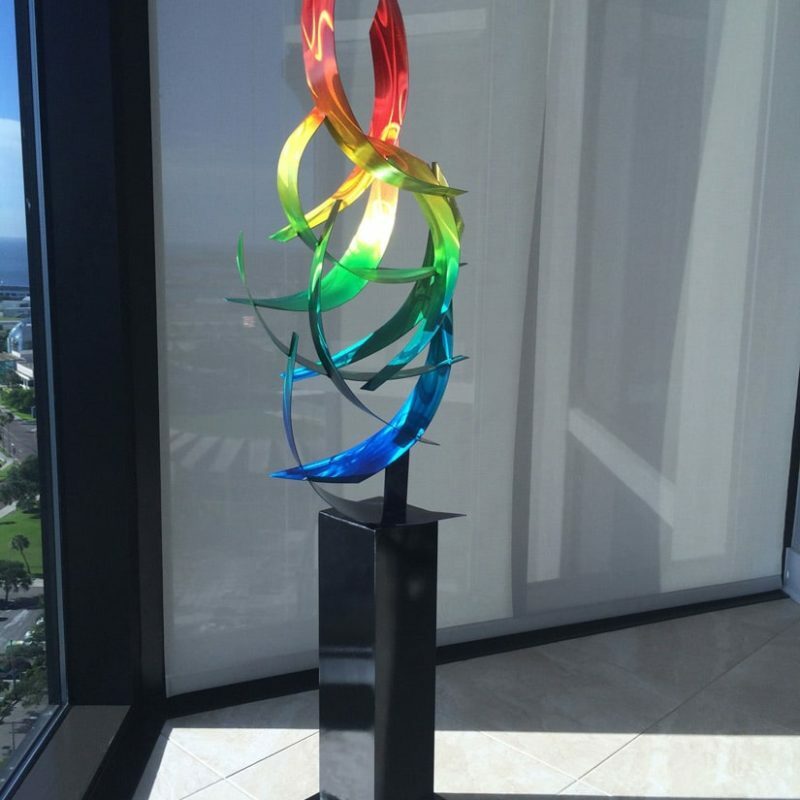 The piece is created from high grade aluminum and stainless steel. 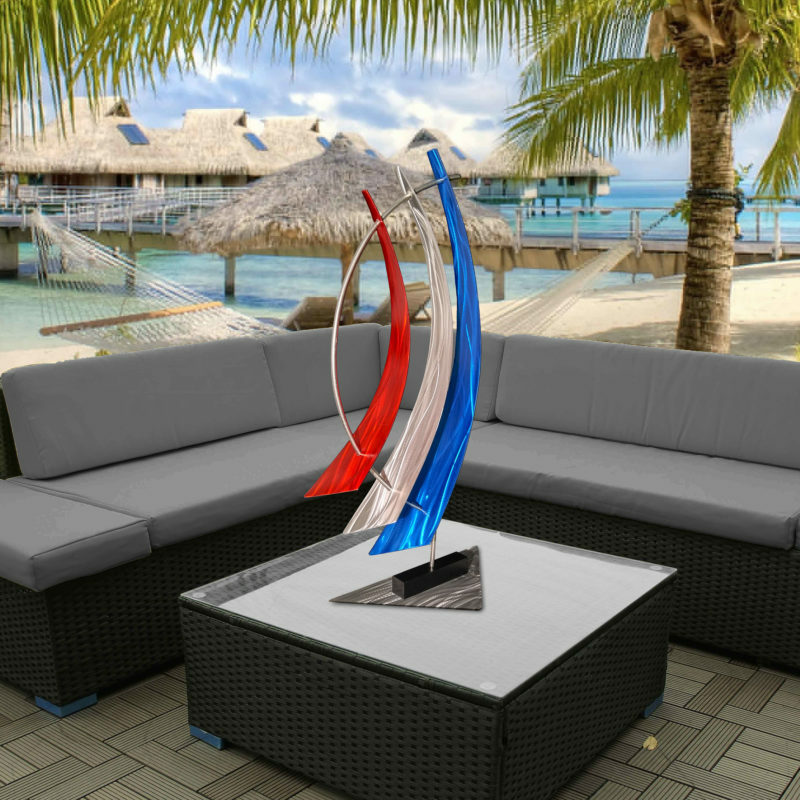 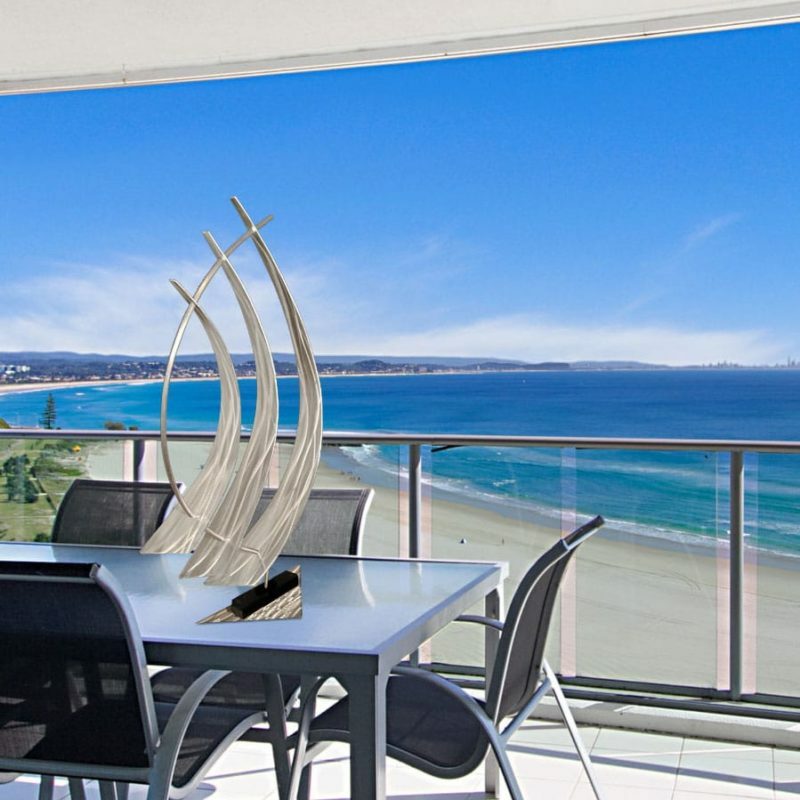 100% outdoor ready and resistant to the elements.